We’ve been working on new Cut Opening REVIT families. Previously, we only had Rectangular and Round Void Openings. Now we’ve added Rectangular and Round Solid Openings, and Round openings with Fire Sleeves. On top of that, we’ve created the possibility of using any opening family from your computer. We’ve transferred lots of needed parameters from services and more. Read this article and discover all the new and great changes in Cut Opening families. It’s possible to use any opening families. Solid Opening families have been added to the software. 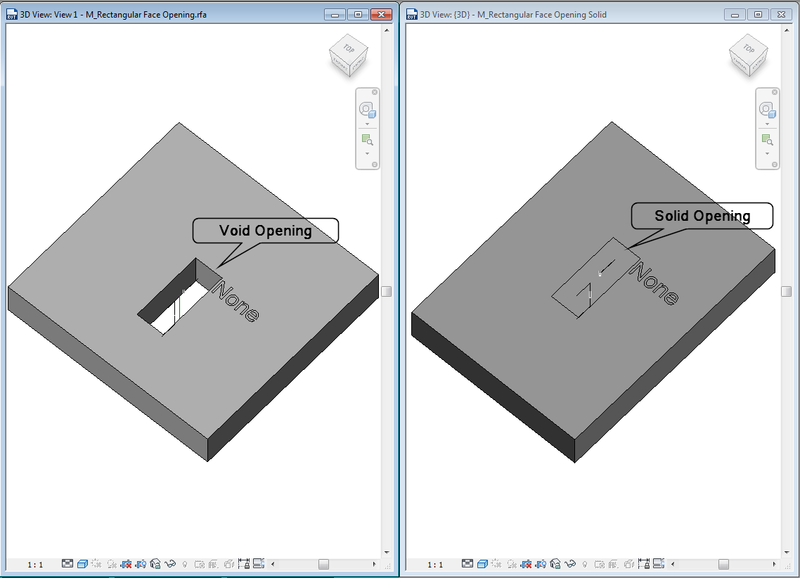 All Void families can be changed to Solid ones to export openings to Navisworks or IFC file. Since the openings were created as Void families that do not change the wall profile but make an opening by cutting through it, we weren’t able to export openings to 3rd party software. Now we have found a work-around: we can use solid elements and export those solids to any 3rd party software. Round Openings can contain a Fire Sleeve. A Fire Sleeve is created as a nested family. All instances may be scheduled. You can turn on Dashed Outlines for families. Now users have more options when it comes to showing openings graphically. o New Shared Parameter “Opening Level” – Software inserts Hosts Level name into the Opening family. o New Shared Parameter “Host” – Software inserts Host name into the Opening family. o New Shared Parameter “System Classification” – Software inserts System Classification from Ducts and Pipes into the Opening family. If System Classification parameter remains empty, then an opening is made for Conduits and Cable Trays that do not contain such information. o New Shared Parameter “System Type” – Software inserts System Type from Ducts and Pipes into the Opening family. 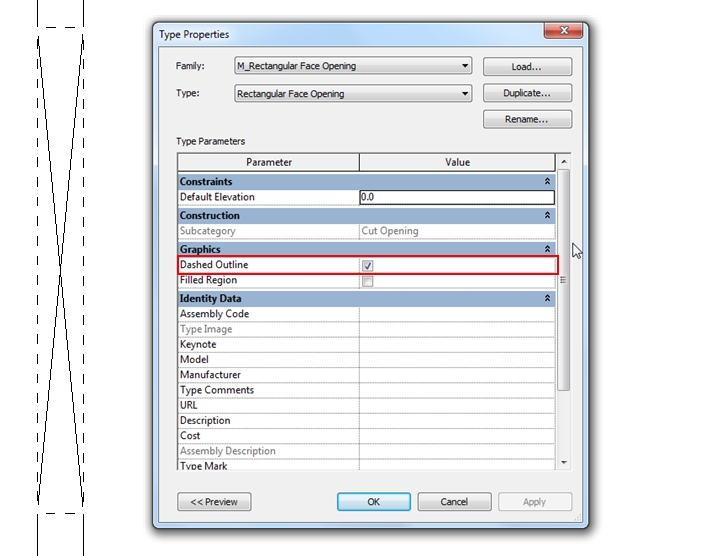 If System Type parameter remains empty, then an opening is made for Conduits and Cable Trays that do not contain such information. o New Shared Parameter “System Name” – Software inserts System Name from Ducts and Pipes into the Opening family. 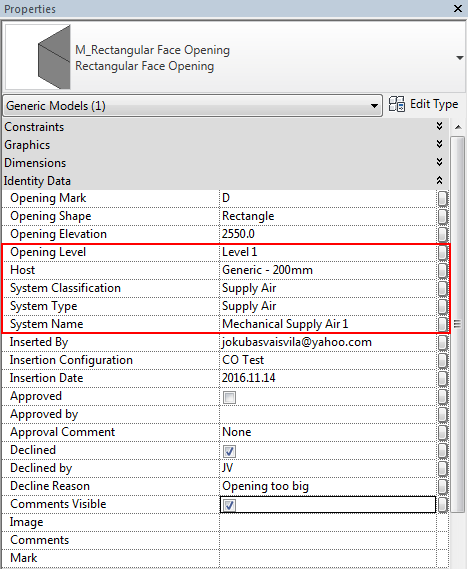 If System Name parameter remains empty, then an opening is made for Conduits and Cable Trays that do not contain such information. All these parameters are from the Shared Parameter file that comes with the software, and they may be used for tagging and scheduling. Now opening documentation is a whole lot easier. All these features allow users to work even more adeptly than before. Don’t hesitate to try out free evaluation license.